In this post we are delighted to share with you the beauty and attributes of Mexican red amber. Mexican amber that comes from the mines of Chiapas, Mexico has its own special succulence. Chiapan amber comes in a rich palette of colors and tones ranging from champagne, golden yellow, honey, cognac, cherry red, green, and black. 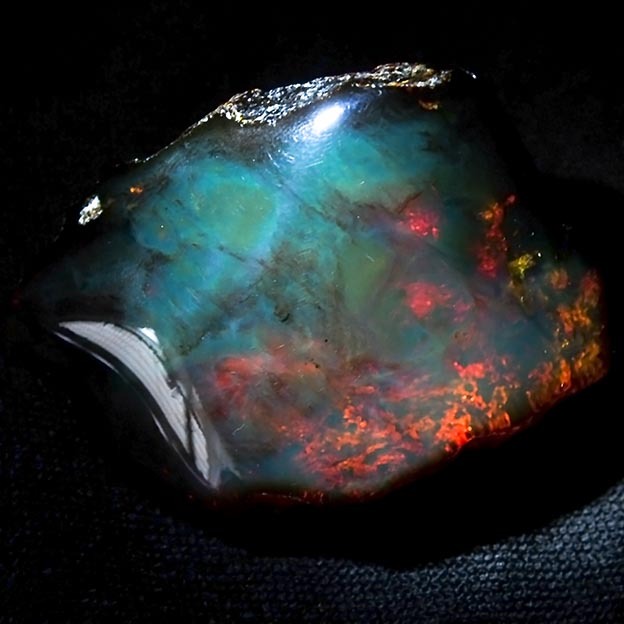 Combine that with the deep blue and cool green fluorescence that occurs with UV light, and Mexican amber truly is in a class by itself. Chiapan amber is the fossilized bark resin of the now extinct Hymenea tree. It is roughly 25 million years in the making. 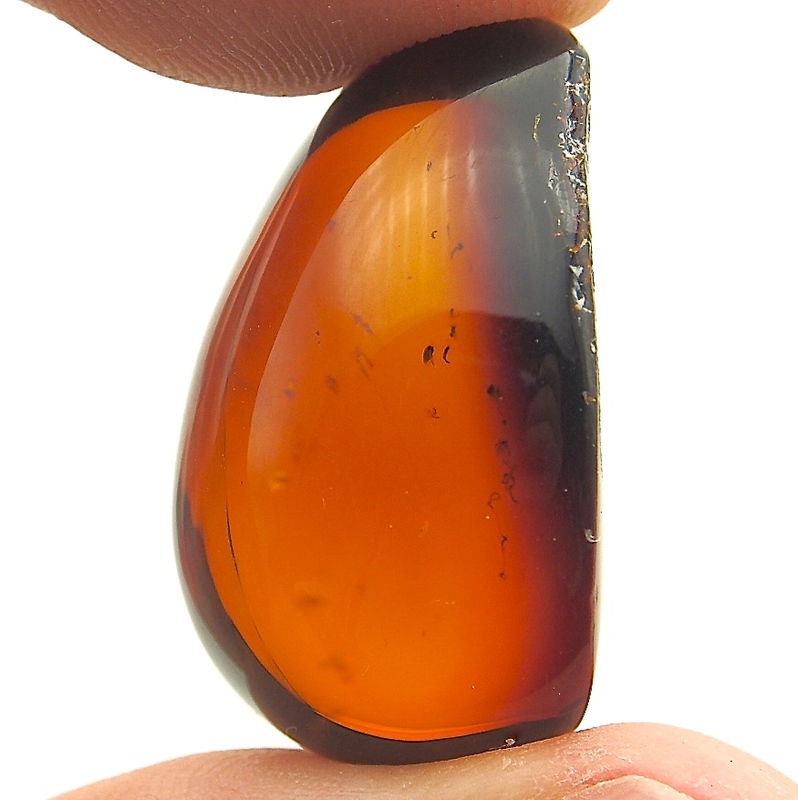 Mexican amber is relatively new to the market and mainly offered in its unadulterated, natural state. We procure 100% authentic Mexican amber direct from the miners. We don’t tamper with it or treat it in anyway other than turning it into beautiful jewelry and exquisite art. This includes our juicy red specimens. 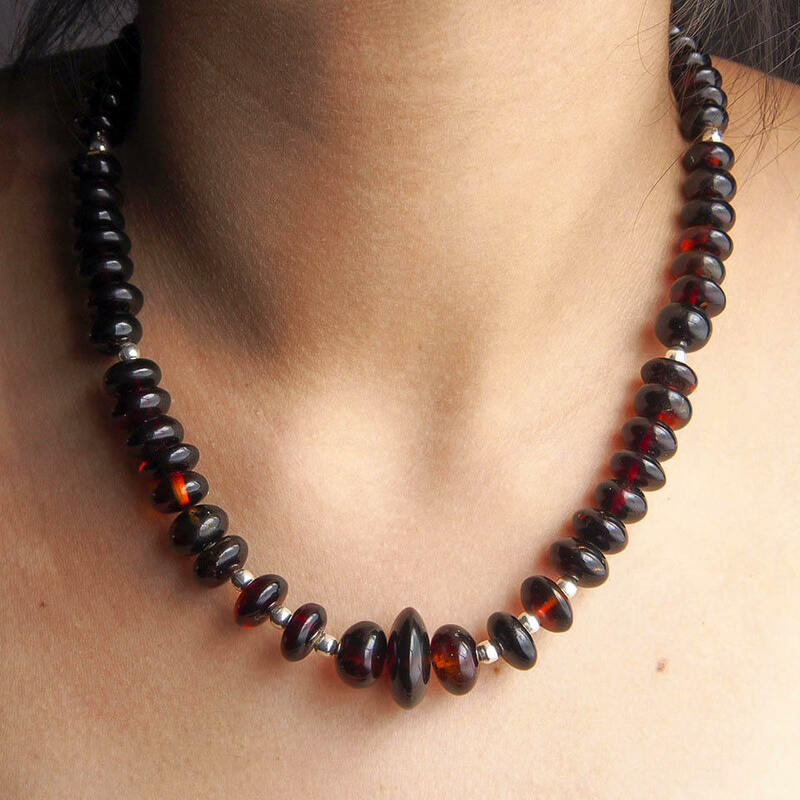 Of the varieties found in Chiapas, Mexican red amber is the most sensual. The proverbial “cherry on top” so to speak. Mexican red amber is basically a thin layer of skin that formed on the surface of an amber deposit where the earth was softer, thus allowing air to reach it. Through the long fossilization process, this oxidized resin crust becomes the sought after red hue in natural Chiapan red amber. 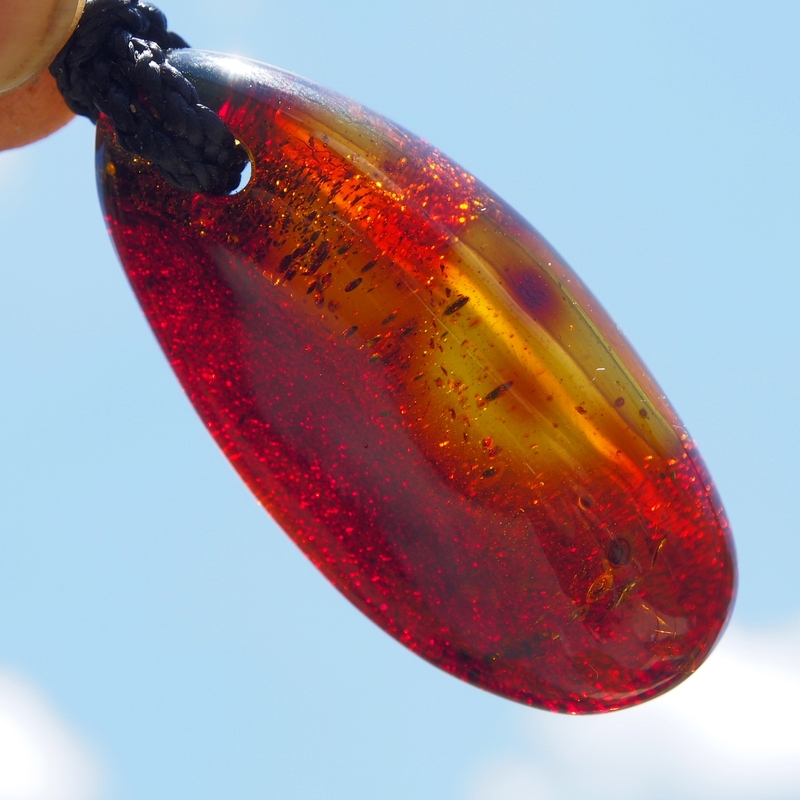 Mexican red amber is the ultimate eye candy. Less than 5% of the amber that comes out of the mines in Chiapas is red amber. That’s because for the most part, it’s only found at the surface of a mine. 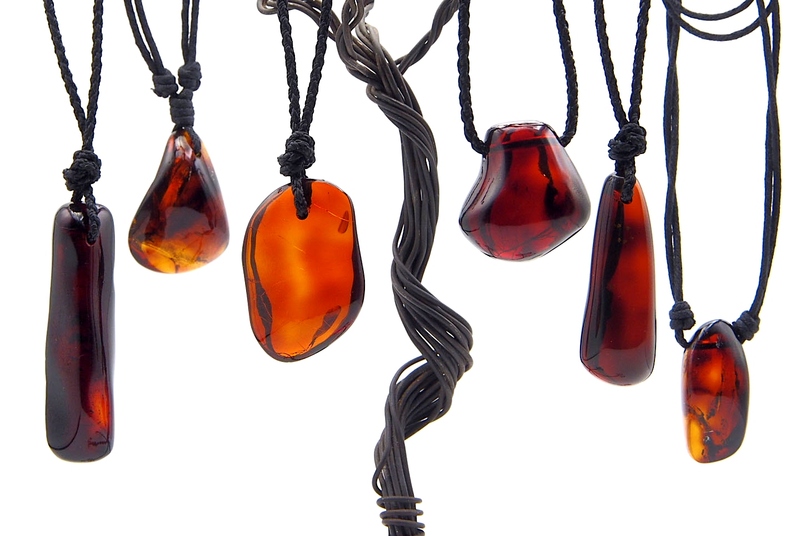 An estimated 2-3% of all red amber on the market today is pure and unadulterated. We are extremely proud to be one of the few who offer it. We take maximum care working with Mexican red amber so as not to remove the red skin. This involves a delicate process of removing just enough of the crust and leaving the red tone. In general, red amber is rarer and less forgiving. When done right, it can have a stunning effect on the senses. Mexican red amber is a lush and mouth-watering gem like no other. Right now, we have a gorgeous selection of Chiapan red amber necklaces, earrings, and pendants. We also have cabochons, polished chunks, and a few hand carved artisan pieces available on our online shops. All of the amber inventory that comes out of our workshop in San Cristobal is done by hand, from local artisans to world class sculptors. New in stock we have some delectable cherry red pendants offered in A, B, and C grade Mexican amber. They all come on a hand-woven macramé cord. We also have gorgeous Mexican red amber beaded necklaces and earrings in stock. Each was hand strung with sterling silver beads and mounted with handmade sterling silver clasps or hooks. We also try to have a few matching sets on hand as well. 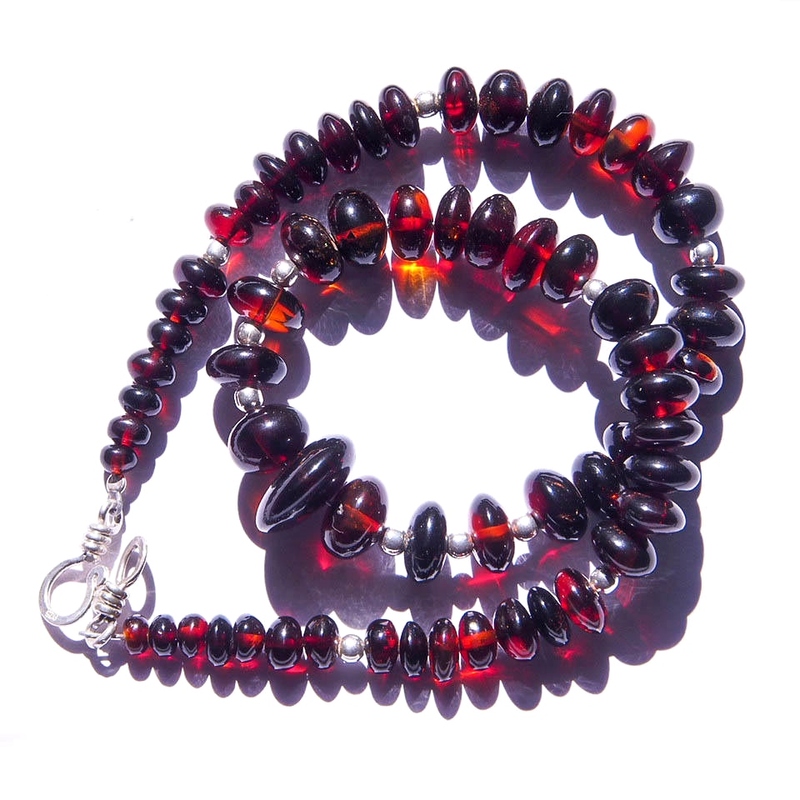 The combination of shiny silver with deep blood-red beads of Mexican red amber gives off a truly elegant impression. We offer tantalizing cabochons and full or half polished pieces for jewelers and collectors. The half polished specimens show some of the crust intact with the red skin. 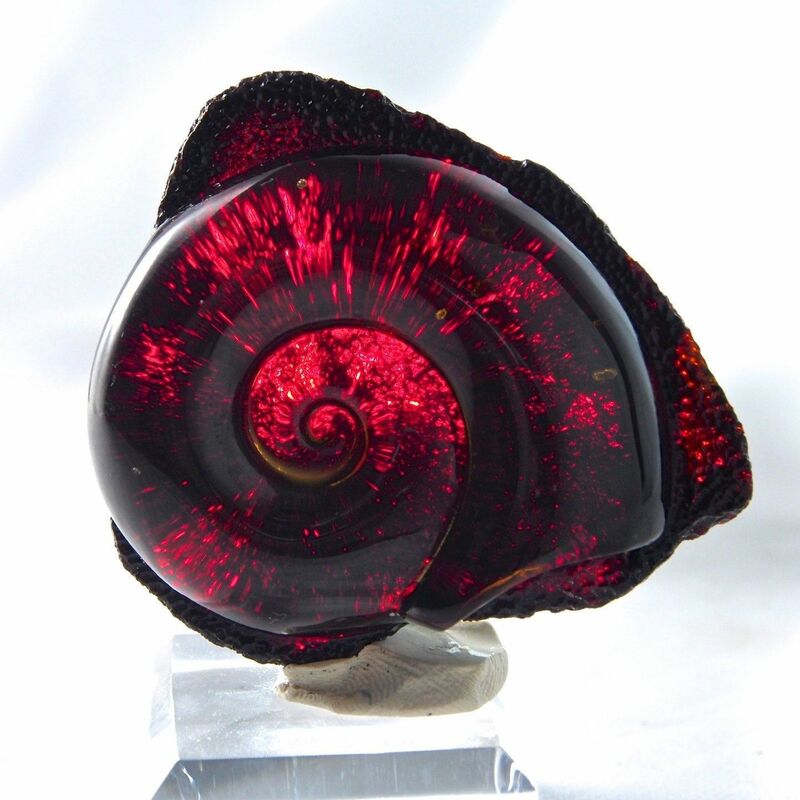 In addition, we have some sweet ammonite carvings done in a fabulous piece of Mexican red amber. The back of the carvings are cleaned of the crust but unpolished creating a visually pleasing effect. 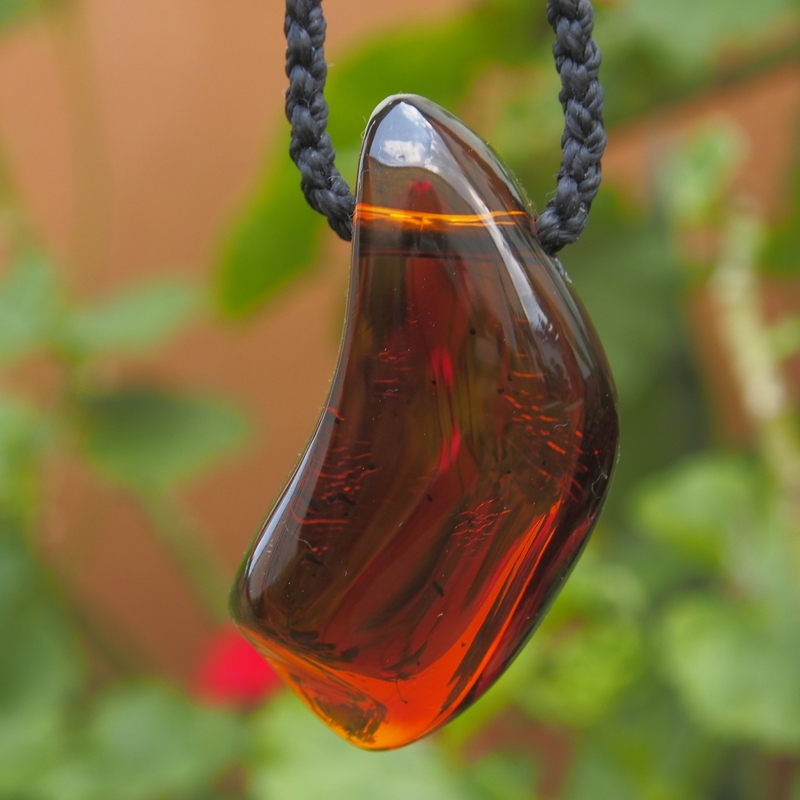 Let us know if you’re dreaming up your own delicious little something in Chiapan red amber. We will help make it a reality. We love it when our amber finds that perfect someone. *For the folks who want to have a sneak peek at what we’re putting up, look for our live feeds on our Facebook page. Thank you for choosing us as your provider of high quality, beautiful Mexican red amber.